Limited offer with every build. Build with Evoke Living Homes and we will give you $5000 to spend however you like! It's easy. Start by registering for your obligation free consultation to find how we will deliver on your unique dream. today to secure this offer! 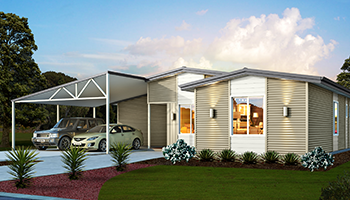 With Western Australia's steel frame specialists, you will delight in a home that enhances your lifestyle. With over 30 years of experience building in WA, we know what kind of property you need. customisable homes in a time that can seem too good to be true! From entry to alfresco, The Northwood gives an elegant family feel. The kitchen is central to the living area while the games room is a great adittion for an active family. Perfect for day to day life, as a weekender or a clever investment, this versatile design ticks all the boxes. 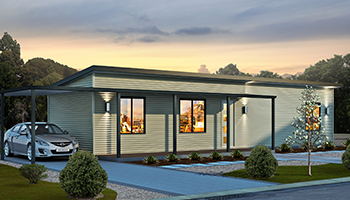 Plus, the Farmstay is available with accessible design enabling wheelchair access and you can select a traditional or modern frontage. 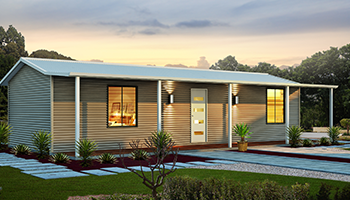 Ideal for use as a beach hideaway, granny flat or teenage retreat, the flexibility of this design is endless. Add a verandah to extend your space into the outdoors. Copyright © Evoke Living Homes. All rights reserved.